Now is the time to make these seven refreshing cocktails with ripe peaches, watermelon and strawberries. Muddled blueberries star in this quick and easy cocktail. Try a molasses-based rum for a smoother drink, or a sugarcane-based rum for a drier cocktail. This punch-like take on the caipirinha features a Cabernet blended with spicy Syrah. John Besh recommends Viognier, a fruity white wine, for this summery sangria. How do you upgrade the classic Singapore sling? Replace the traditional cherry brandy with a vibrant, homemade sour-cherry syrup. 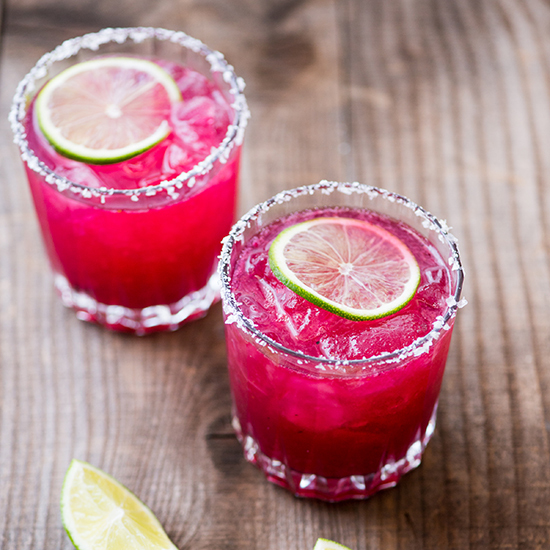 Bobby Flay mixes silver tequila with pureed watermelon and fresh blueberries. Kiwi adds both sweet and sour flavors and terrific texture to this excellent cooler.